Label Me. Must-have functions for industrial grade label printing. Labels represent a large segment of the overall packaging industry. Digital print is disrupting label production, addressing the latest demands for short runs and personalization. Research firm Smithers Pira indicates that in 2016, labels produced worldwide on digital presses were worth $9.46 billion. The firm says the market is expected to grow 10.2 percent year-on-year through the end of the decade. What is Industrial Label Printing? Industrial label devices are designed for durability, enhanced support, high production, quality, and robustness. A variety of digital label systems meet these demands. Russell Doucette, assistant product marketing manager, Konica Minolta Business Solutions U.S.A., Inc., agrees. “The ability to run job after job, shift after shift, and week after week is imperative and expected in these types of devices,” he says. Other vendors look to a product-based definition for industrial and consider it to be those sold primarily through business-to-business (B2B) channels and support more diverse substrates. Amber Miller, product manager, Primera Technology, considers industrial label production to include, “a durable case or cover, and a cover that locks tight enough to block out dust and debris.” She says industrial labels often require inks and materials that withstand harsh weather conditions. The push to digital label production for industrial purposes comes from a variety of needs across many industries. For example, Mike Atkins, national sales manager, Afinia Label, says companies that produce food, nutritional supplements, and chemicals immediately see the need to produce labels digitally. In these industries, many products with a small run of each individual product are in demand. He points out that managing the purchasing and inventory of many different pre-printed labels is both frustrating and costly. “These industries often purchase more labels than needed to achieve a certain price point, and discard those labels if there is a packaging change,” says Atkins. Digital label printing helps shops print on demand and in house. Doucette sees the food, beverage, and nutraceutical markets surging into the adoption of digital labels. “The biggest advantage they have with digital production is the ability to customize, localize, and personalize a message for a particular group of consumers,” he says. Using digital label printers, these companies experience faster time to market and expand their sales opportunities. Product and equipment identification labels also benefit from digital. “They demand the ability to print to a variety of substrates without priming or coating and they demand a finished print that is durable with or without coating or lamination,” says Mark Schlimme, marketing director, Screen Americas. Sherry Land, software engineer, Neuralog, believes the adoption of label production printers is fueled by government regulations in large and small chemical, pharmaceutical, and consumer products. “We see activity in a variety of markets—cleaning chemicals, paints, supplement and vitamins, even electronic cigarette makers are now affected,” she says. While it’s clear that many vertical markets utilize traditional label making processes, some see digital as the new norm. “Starting in 2014, more digital label presses have been sold than traditional analog presses. Converters and brands demand gravure-matching quality and the flexibility to address a wide spectrum of applications,” offers Brian Cleary, category manager, HP Indigo Label Solutions. Digital label systems utilize either electrophotographic (EP)- or inkjet-based technologies. Both offer great benefits for label printing, depending on the needs of the job at hand. Hennessy points out that EP presses were commercialized more than 20 years ago and were adapted to work in the label space before inkjet technology was advanced enough to compete. As inkjet evolves—including the introduction of higher dpi printheads, faster speeds, and advances in single-pass applications—the differences in the printed output are more subtle and usually require a loupe to discern, “so competition is fierce,” he suggests. EP printing uses electrostatic charges, toner, and light from either a laser or LED to beam an image onto a drum and leave a positively charged replica. The image is then fused using heat and pressure to adhere to the paper. This equipment features dry- or liquid-based toner options. Dry EP technologies feature toner particles and a thicker layer that fills in textured substrates when fused. It has a shiny appearance unlike flexography and gravure. “Once fused, it is unable to shrink or stretch without cracking so it is not suitable for shrink sleeves or stretch applications,” cautions Cleary. Liquid EP can stretch and shrink. Cleary explains that HP Indigo ElectroInk can lay on the substrate in a thin layer and conform to textures without filling. Doucette says that EP devices are suitable for about 80 percent of the pressure-sensitive labels today and daily maintenance is generally less intensive than inkjet solutions. He says for this reason, it may be a better option for a company to enter the market and explore digital printing benefits. For PSPs that intend to print on shrink sleeve material, inkjet-based label production equipment is a good choice because it doesn’t rely on a heated fuser for image transfer. Atkins explains that fuser operating temperatures place limitations on synthetic label material due to low melting points with polypropylene, polyester, and vinyl, leading to color matching difficulty in humid climates. “Inkjet is more accurate and repeatable because it is not affected by the ambient temperature and humidity of the production environment,” he says. Speed and productivity is also a factor. Dickinson points out that inkjet-based label production equipment not only has long cycles but also produces at higher production speeds and productivity four to seven times greater compared to EP. It is also upgradable with minimal press replacements. However, he warns that inkjet inks have a thicker lay down and may also be brittle when cured. Olaf Walter, president, mprint LLC, says inkjet label presses reach speeds up to 246 feet per minute (ft/min) whereas EP equipment prints at speeds near 98 ft/min in four color modes. Inkjet is capable of being stopped and started during printing. Juan Kim, CEO, Valloy Incorporation, says it’s also easier to handle, especially because the printing environment is room temperature. “However, specifically coated media needs to be used for water-based dye pigment inks which are very weak against water and sunlight,” says Kim. Hennessy suggests that EP-based systems may have the advantage when it comes to reproducing the smallest graphic features and text, but inkjet is shown to print on a wider variety of commercially available substrates without special primer or treatments, and UV inkjet technology provides added benefits including durability without overlaminate/overvarnish, higher print speeds, and lowest cost per print. One concern traditional converters have with digital production presses is reaching the color gamut that they are used to. Luckily, the latest tools in RIP, RIP software support, and color matching help to ease their minds. Gernot Schneider, digital products product manager, Nilpeter Europe, says color gamut capabilities should be tested from case to case because it depends on the product and the machine. He adds that Nilpeter works with a special color calibration software and an extended color gamut to reach more than 90 percent of the PMS colors. Color calibration software eases traditional converters into the idea of digital label productions. Thomas Jensen, product director, Trojanlabels, agrees, pointing out that extensive ink formula development and use of excellent color management products are a safe solution for traditional converters. “Of course, for CMYK there is a natural limit in reaching the full Pantone range,” he adds. “Time and labor savings along with the ability to print many different jobs in the same amount of time will often more than compensate for the slightly different color you may see in a CMYK workflow,” says Doucette. To achieve a closer match to their current labels, companies should be trained on the creation and use of ICC profiles and spot color matching. Converters should also work with manufacturers to test the total color gamut and the ability to manage and match specific LAB values. “Expanded gamut colors, such as fourth and fifth orange or violet or light cyan and light magenta can expand a presses ability to reach hard to match colors but can come at a cost to productivity as well as added running costs,” says Schlimme. Most digital machines allow for 85 percent match of the PMS gamut using the basic CMYK plus white setup. “This can be increased by adding orange, green, and violet to about a 98 percent match. The remainder is usually covered by spot colors,” says Walter. Software RIPs help create label stock-specific color profiles and the ability to dial in and replace spot colors without alteration. “We strongly recommend this option for anyone who is required to reproduce pantone colors on label material. This RIP also allows for output profiles allowing the digital press to mimic the output of other offset or flexographic presses,” adds Atkins. He explains that dye-based aqueous inks produce a higher range of colors for process printing at affordable prices. Traditional converters also require speed and robustness from their digital selections. In an industrial environment, efficiency is everything. Traditional converters want assurance they can meet existing duty cycles. Just as important as the quality of the labels, run length is another consideration. “The breakeven point compared to flexography is currently 5,000 impressions or 100,000 labels,” says Schneider. Digital label production printers work best in short runs, unless they are being used for personalization that isn’t capable on a traditional label printer. Miller believes traditional converters should separate jobs based on size and use digital presses for shorter runs to fill the gap of short-run labels that are too small to run on flexo machines. In this way, traditional converters ease into digital label production. Atkins advises print providers to look at construction and costs. Converters who only run flexographic presses and want to move into digital should begin with a small digital press that is versatile and doesn’t require a large capital investment. Traditional converters can also ask manufacturers for multiple reference sites with similar production environments to ensure the press meets their specific production needs. Cleary adds that traditional converters should evaluate the manufacturer’s service capability to discover if they own the imaging technology or integrate licensed technologies. It is also important to consider finishing needs. Walter comments that it is rare to find a digital label press that offers “true inline converting, such as laminating and die-cutting.” He adds that these functions usually require a secondary process and, therefore, increase the required investment. Several different industrial vertical markets adopt label production printers because of their ability to customize, localize, and personalize messages for specific consumer groups. The food, beverage, and nutraceutical markets are early adopters of digital label production printers. According to Cleary, in 2014 more digital label presses were sold than traditional analog presses due to demands by converters and brands for gravure-matching quality and flexibility for a wide spectrum of applications. Companies that produce a lot of products but small amounts of each individual product benefit from digital label systems. This can be items with different flavors or variations of one product, like wineries. “Many require requests of short run jobs with vivid color saturation and differentiated touches,” says Kim. Miller shares that globally harmonized system of classification and labeling of chemicals color regulation changes have forced chemical manufacturers to label their chemical drums with specific color coding and information. “Most demand a label printer that prints full color and has labels and inks that have passed BS5609 testing,” she says. While digital label press adoption increases, there are still some challenges to consider. Kim says that computer and software skills are the first barrier. Quality issues can happen any time, but he believes developers should focus more on digital print’s flexibility rather than microscopic quality analyses. 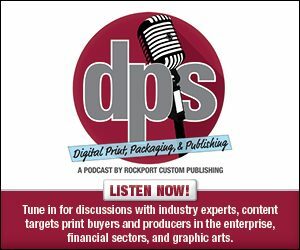 Doucette says that one of the most major challenges slowing down the adoption rate of digital label presses is the initial cost of acquiring the equipment. “As the costs come down and better ROI and customer success stories emerge, more industrial companies will entertain bringing digital label production in house,” he predicts. Finding substrates that are available and cost effective to compete with conventional non-digital substrates and media is also difficult, according to Schlimme. As the landscape of digital label production presses develop, we asked digital label press vendors what they think the industrial label market looks like. Schlimme points to wider widths and adds that speeds will likely improve. “Developments in ink technology will drive digital into flexible packaging markets as well as consumer product goods that require labeling and packaging with low migration inks and protection against contamination,” he says. Kim sees pigment, latex, and UV inkjet dominating the market in the future—rather than toner-based technologies. Doucette adds that digital embellishments like spot varnish, digital foil stamping, and 2D and 3D texture mapping is expected in the future. Dickinson believes that hybrid technologies, fully integrated inkjets with SMED, converting, and decorating, will have a secure place in the label market. In addition to the development of ink sets, software systems, and workflows, he says that MIS and file management solutions will become more powerful, empowering converters who integrate these systems to become more productive. “Once brand owners and consumer packaged goods providers—as well as their marketing teams and advertising agencies—realize the creative power of digital label finishing, the market will become dynamically energized with more attractive, eye-catching, colorful, and memorable products on the shelf,” predicts Abergel.